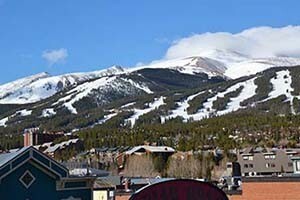 Discover a hand-picked selection of cabin resorts, rentals, and getaways in Breckenridge, CO. 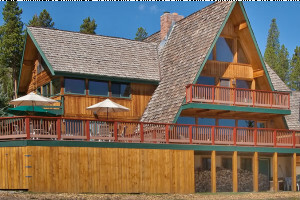 Featuring expansive views of the continental divide, 12 bedrooms/15 bathrooms, 4 living spaces & game room. Very close to Breckenridge. Weddings, reunions & retreats! Vacation rentals, cabins, condos in Summit County. Perfect location for relaxing by the William Fork River or watching wildlife wander through the forest. Log cabins have gas fireplaces, rustic log furniture, homemade cookies. Cabins are perfect for couples or families and feature living room, kitchen, deck, queen bed and 1 set of bunk beds. Enjoy unlimited use of the hot springs swimming pool. 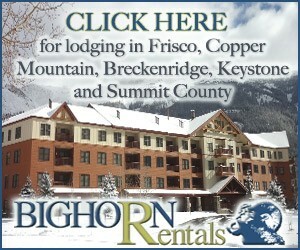 Breckenridge Home Rentals, Condo Rentals, Cabins, and Ski-In Ski-Out Rentals. Choose from a wide selection of high end homes for your mountain vacation! Offering high end service and luxury amenities. This beautiful 1800 sq. ft. vacation home just 20 minutes from Breckenridge features 3 bedrooms, 2 baths fully kitchen, dining table, wood-burning fireplace, laundry & garage. Your own Rocky Mountain log cabin located in Kremmling, Colorado. Close to hunting, rafting, fishing, hiking, special events & more! 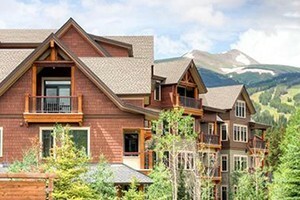 River Ridge Rentals offers a variety of luxury colorado mountain lodging options in the fine Colorado Ski Resorts of Breckenridge, Copper Mountain and Keystone. Our homes are located in the heart of the Colorado Rocky Mountains making them central to every outdoor activity imaginable. Year-round resort between the Swan and Blue Rivers offers RV-only camping or private mountain chalets. Wide variety of outdoor activities! Free shuttle service nearby.